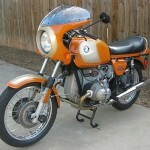 Many consider the BMW R90s to be the first real superbike. 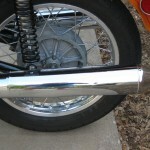 Absolute terms like “first” are the tripping hazards of so many arguments – especially when you consider that by the mid-1970s there had already been decades of iconic motorcycles. 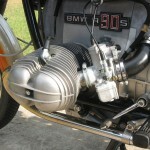 Still, the BMW R90s was a milestone motorcycle – and not just for BMW. So what is the big deal about the R90s? Why consider this a “superbike” that ranks alongside other highwater mark bikes across performance eras? Simply because British rider Reg Pridmore, mounted on a BMW R90s, won the first US AMA Superbike championship in 1976. That, my friends, is some serious racetrack credentials. It doesn’t hurt that the bike – penned under the eye of legendary designer Hans Muth (think BMW R100RS, BWM R65LS, Suzuki Katana and XN85 Turbo) – has the classic proportions of style and speed. 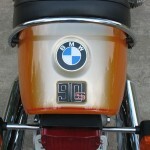 You are bidding on a 1976 BMW R90S that was fully restored in 2007. Currently there are 4,890 miles on the odometer since restoration. The original mileage is unknown. The bike has all new paint including frame powder coating and hand pin stripping (painted tank, fenders and fairing). Many new parts were used in this restoration including: wind screen, cylinders, pistons, valves and seats, transmission, seat, battery, tires, brake master cylinder, mufflers (one with a small dent) dyna electronic ignition and six pages of hardware and carburetor rebuild components. No expense was spared to make it right. Over $5,000 in parts alone were used. We are moving and going back to school out of state and need to liquidate some of our assets. As you can see by the mileage, this asset isn’t used very often. This was the last year of R90S and this model has many improvements over the previous year models. The engine is designated 247/76. 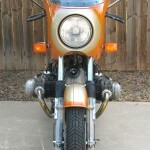 There were 1,260 1976 R90S units produced for the US. You can read more about this model in Ian Falloon’s book “BMW R90S” of the Motorcycle Collector Series. This is the BMW model that Reg Pridmore won the Daytona Superbike race in 1976. Thus the color name “Daytona Orange”. This bike is a piece of history for someone who values motorcycle history and BMW’s advanced engineering. The R90S is still a great riding motorcycle today. Need I say it runs like a new! 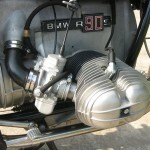 The R90s is powered by a 900cc opposed twin, known in BWM circles as an “airhead” (later generation BWM engines featured oil-cooled cylinder heads, and were thusly known as “oilheads”). 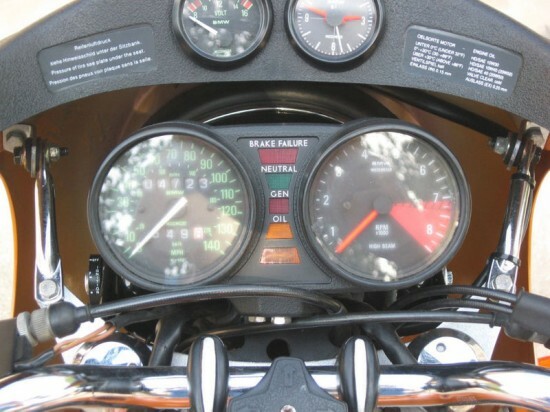 There were three distinct generations of the R90s, starting with the original in 1973. By 1976 the party was all over – thus this beautiful orange model represents the last variant of this incredible bike. If you can get over the orange cream popsicle color – which is one of the most striking colors available on the bike – this is one sharp looking R90s. There were less than 5,000 units of the final 1976 variant produced, so numbers are definitely in the collector’s favor. In addition, with 1976 being the year of Reg Pridmore’s historic championship win, the model year for this bike is significant. 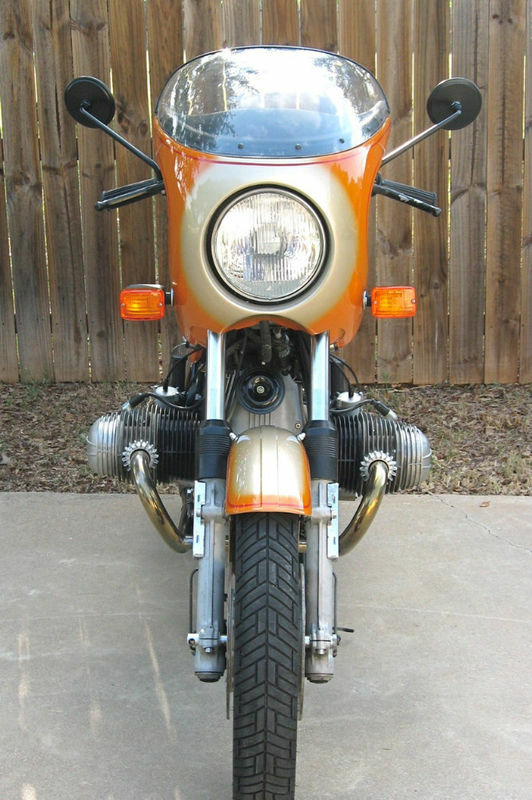 The seller does a great job of outlining the bike, the overall features, and the condition. This auction is going on right now, and represents a great chance to own a classic BMW. For more information on this bike, click the link and jump over to the auction. Good Luck! IMHO, The siver smoke r100/s was one of the best looking bikes of all time! 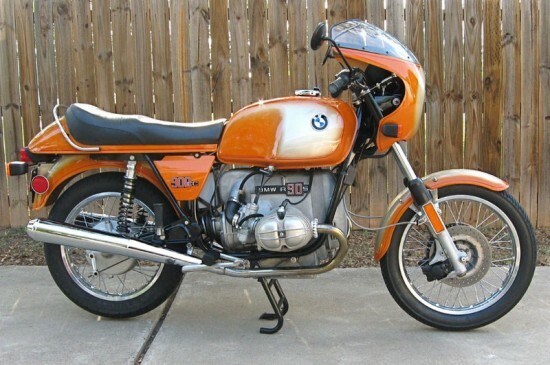 Why didn’t BMW have have whoever designed the r1000/s design the K-1, instead of Hanna-Barbera? Hanna-Barbera must of cost a bit! Alas, Hans Muth moved on to Suzuki following his stint at BMW. I suspect that the wind tunnel had more to do with the shaping of the K1 than any stylist, but I agree that the results *are* a bit strange looking.